Theo Halter GmbH produces a wide range of electric motors for companies all over the world. We’ve utilized the latest technology and customized solutions in electrical engineering and drive technology to satisfy our customers since 1967. Reliability and quality in products and service, are the basis of our successful business. As the craft enterprise became established, Theo Halter GmbH developed into a modern industrial company whose name today is not only known for the production of high quality standard electric motors, but especially for the development and production of customized solutions in electrical engineering and drive technology. 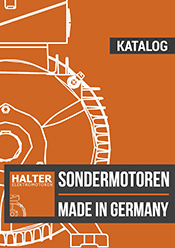 Theo Halter Elektromotoren GmbH has been a part of the Reinhold Noor Group from Viernheim since 1999. For more information about Reinhold Noor International GmbH & Co.KG, visit www.noor.eu. hochwertige Sondermotoren. 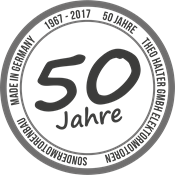 Seit 1967 Partner der deutschen Pumpenindustrie. Garantiert kurze Lieferzeiten, auch bei kleinen Projekten.